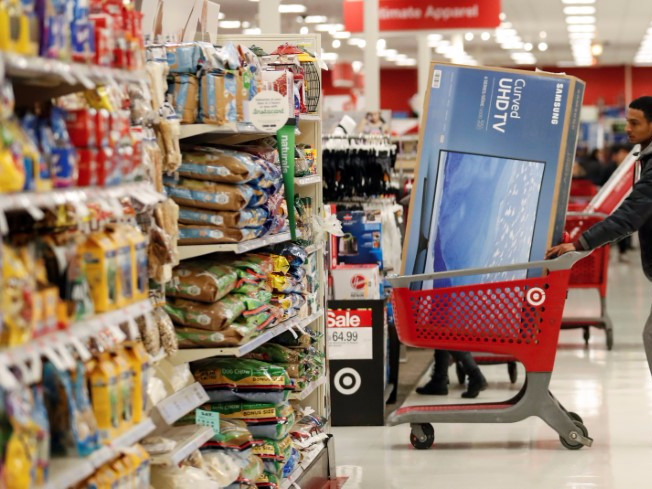 Target Corp‘s stock rose 7.4% to $58.55 a share after the company reported a smaller-than-expected drop in quarterly comparable sales on Wednesday. Sales at stores open at least one year fell 1.3%, better than the 3.6% drop expected by analysts polled by research firm Consensus Metrix. Net income rose to $681 million, or $1.23 per share, in the first quarter ended April 29, from $632 million, or $1.05 per share, a year earlier. The company’s performance is a rare bright spot for the US retail industry, which has come under pressure lately amid mounting competition from online rivals.